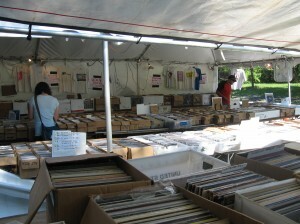 The Woodstock LP Vinyl Record and CD Crawl is on! Several other dealers will be in the area on Saturday and Sunday. 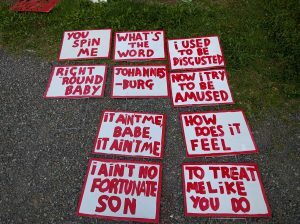 They will be about 2 miles from the Huge Music Yardsale. SEPT 2-3: TWO DAYS! SATURDAY & SUNDAY! MULTIPLE DEALERS! 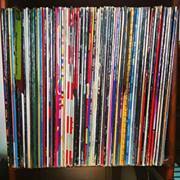 – HUNDREDS OF CHEAP RECORDS OF ALL TYPES & GENRES – most beginning at $3-$5 each. Many as low as $1.00. Including Rock from the 60’s 70’s and 80’s, Jazz, R&B, Punk, New Wave, classical and more. Maybe some music related books and magazines…And a WHOLE BUNCH OF CDs: mostly rock at $3-$5 bucks a piece. There may be a dealer or two at the Mower’s Saturday Flea Market, in the middle of Woodstock. And you can also visit our pals Rocket Number Nine Records and Rhino Records Kingston in Kingston. And don’t forget about Rhino Records New Paltz & Jack’s Rhythms in New Paltz! Sunday, November 2, 2014 Buffalo, NY Buffalo Record and CD sale. Admission is $7 each day. 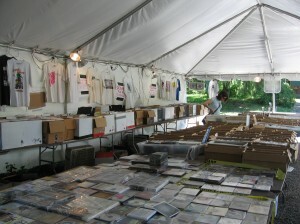 Frenzied collectors can pay $25.00 for 4pm admission on Friday and that then gets them in for all three days. The 69th Regiment Armory is at 68 Lexington Avenue and 26th Street. WFMU broadcasts from the event and there are live musical acts also. Here is a complete dealer and performer list from the WFMU site (pdf) Each dealer is listed along with their location (table number) a short description of their wares. There is also a map. 1) Prepare yourself for sensory overload. You will certainly see records here which you have never seen before, and which you will never see again. 2) Stay hydrated. There is a bar and there is (pretty good) pizza, but you’ll definitely want to bring water. 3) Most dealers accept cash only. 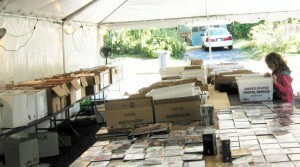 A few dealers accept credit cards. 4) If you see an interesting table, investigate it right away. Some dealers do not do all three days of the show. 5) If you see an interesting record, buy it immediately. It will likely not be there when you come back. 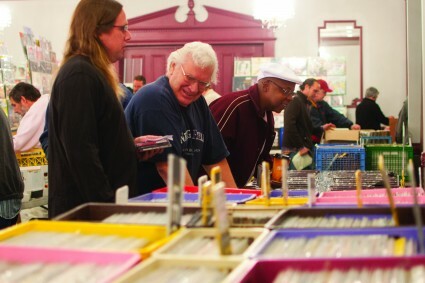 6) Be prepared to see other people walking around with records you wish you had. 7) Try to be tolerant of other customers and their elbows. Be gently but firm in establishing your personal space. This is New York City and some people can forget themselves when faced with all the amazing records and a time crunch. 8) Have a plan. Go through the dealer list and map and plan out a strategy focused on your area of interest. Or just start at one corner and work your way to the next. Internet strike day is Wednesday January 18th. In a protest against the SOPA and PIPA legislation moving through the US Congress, many major sites (Wikipedia, Reddit, Internet Archive) will go dark for 12 hours. 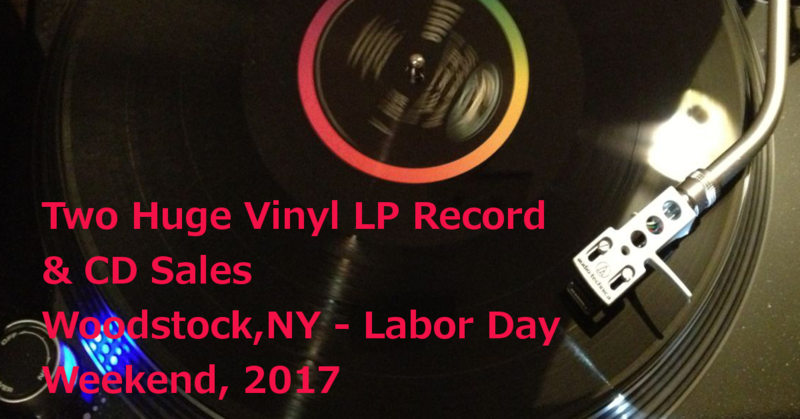 Of course, NYRecordFairs does not have the reach of these sites, but we want to do our small part to help. Both of these pieces of legislation are harmful to the internet itself, to innovative business and will not achieve what their sponsors say they will. There are precise ways to prevent foreign websites from pirating US content and they are already written into law. There already ways to prevent counterfeit physical products. We do not need overly broadly written bills which conflate three different areas of law (physical, digital and technical). Saturday and Sunday, September 18 and 19, the Dutchess County Fairgrounds will host a number of events. 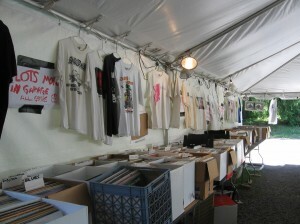 Of most interest to vinyl hounds will be the gigantic Rhinebeck Flea Market and Garage Sale. 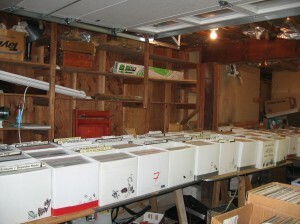 There are 350+ dealers with all sorts of stuff. Sure, there is tons of WTF? items, but there are also sure to be lots of music items. 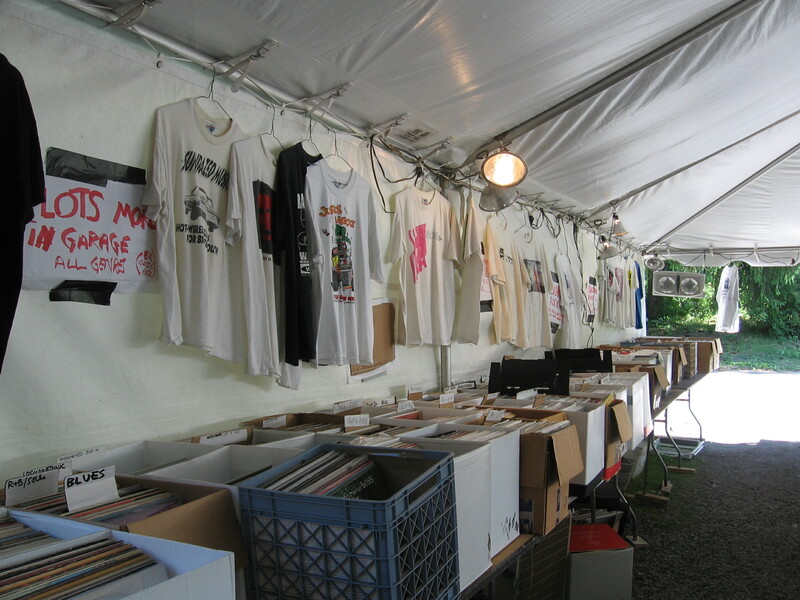 Zip’s Ziggurat will be there with boxes and boxes of budget LPs and CDs, many not on view at the recent yard sale. Our shows are all about offering our customers the BEST of what rubber stamping and paper arts has to offer in a FUN setting! See the paper artwork of some wonderfully talented vendors using the latest and some favorite standard techniques.